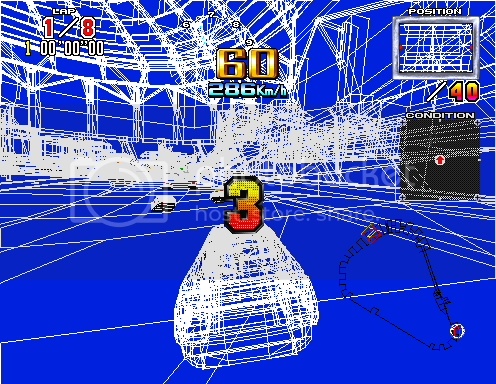 Musings of a Sega Racing Fan: How Would A New Daytona USA Fare? WTF? Hi Eric, slightly off-topic but here's some pictures of my local Sega Park...post is from last year but nothing's changed! 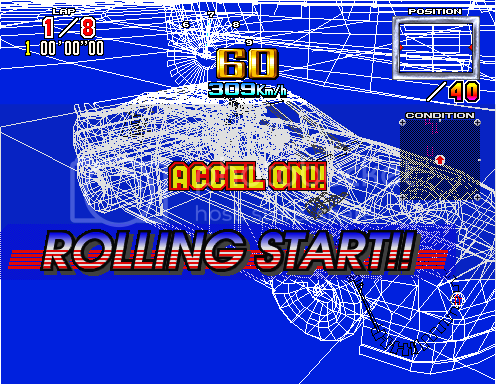 Storyline is also the best idea for the new daytona USA. They should include the "Story Mode"
Thanks for the pics, rjay, I think it's surreal that there's an arcade right in the mall that has Sega's name on it. I see the Sega Rally cabinet has a roll cage on its seats...what's the deal with that. About the Daytona ideas, I do like the idea of referencing the car model, but Sega's not going to pay licensing for a few car names. And if they include Daytona USA 2001 cars, then those have no model at all since they're fictional. Finally, a story mode as in a campaign/season would be nice, but no crazy plotlines, please. Hey, leave Need for Speed out of this, it's my favorite racing franchise. My love-hate for NFS is like the love-hate some people have for Sonic. And leave Fast and the Furious out of this, too, that game is fun. As for FnF, it's been a favorite punching bag of mine...when you see all the Daytona arcade cabinets being replaced by FnF, you'd be a bit upset too.